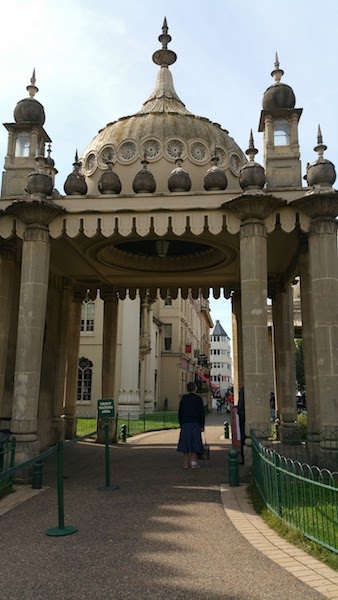 A solo day trip to Brighton beach and the Royal Pavilion was one that took quite a bit of courage. Mainly due to the fact that solo trips are sometimes frowned upon and not something I usually practice. But if you have a burning desire to see a particular place in your home town, city or beyond, are you going to wait for friends to make up their minds or just get on with it? Time to show bravery! 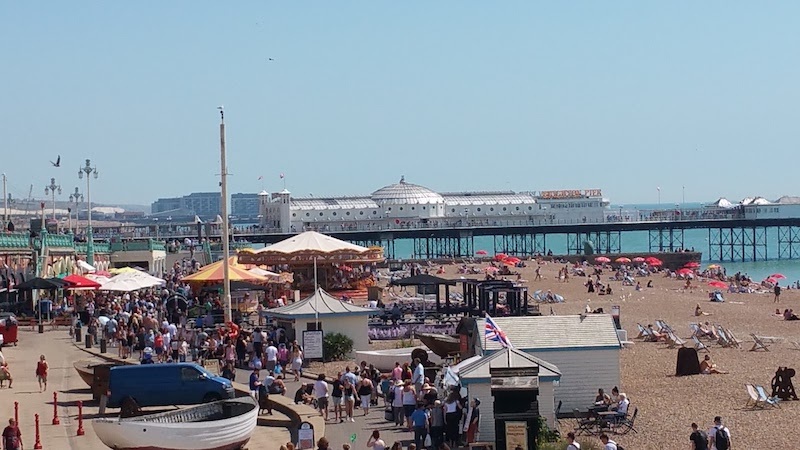 This popular city is mainly known as a seaside resort in England but is Brighton only known for it’s glorious cobbled beach? 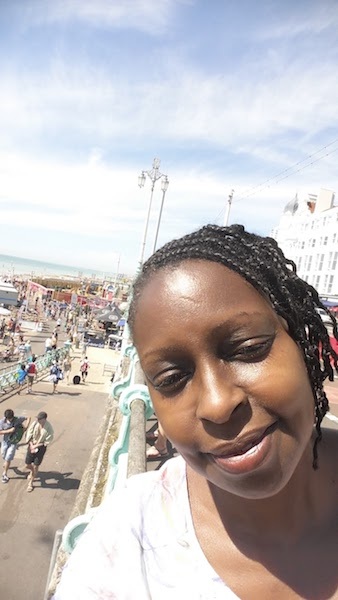 Over the years I have taken my young family to the beach as a way of taking a break away from London and to spend time at the coast. Seeing the sea is of course therapeutic. 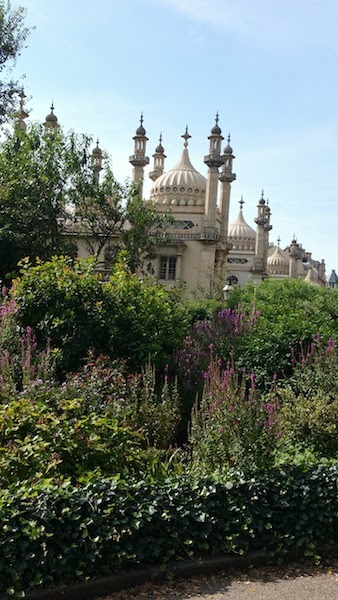 However, we didn’t spend much time exploring the city so this time around I decided to examine additional excitements Brighton had to offer. Being spontaneous is also a plus when it comes to visiting places of interest. 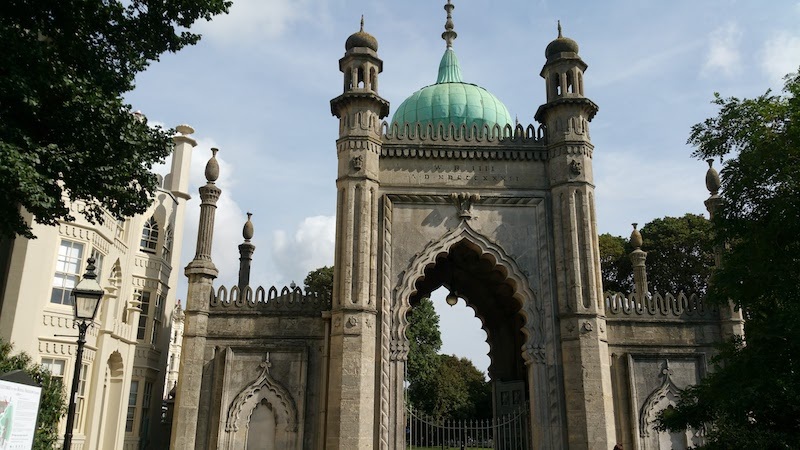 This monumental structure was built for the Prince Regent who later became King George IV. The Grade listed building was built for Royal residency and today stands as a tourist attraction. It’s dome shaped roof and Oriental style structure is a popular attraction amongst tourists. 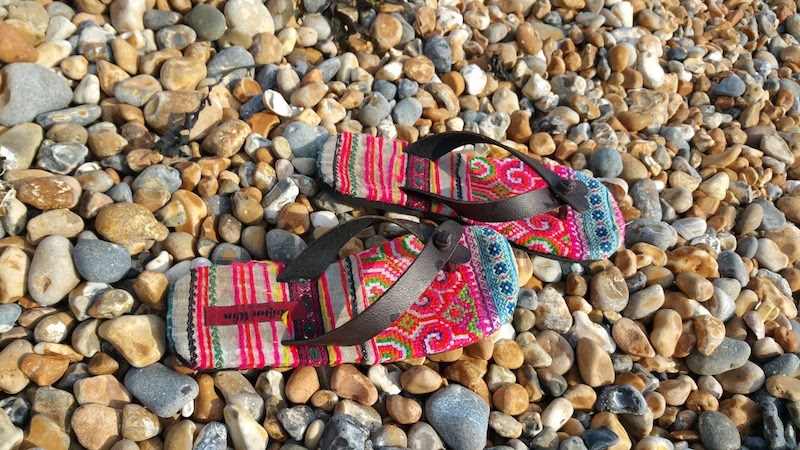 Sunbathe on the beach or take a refreshing walk. 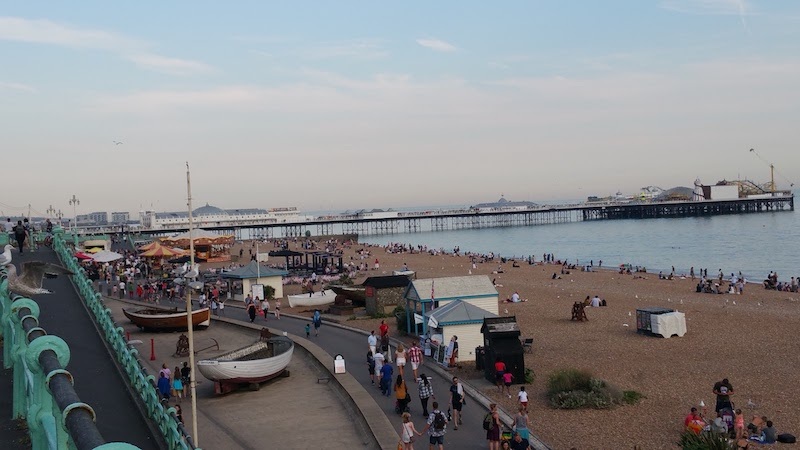 Brighton has the largest beach on the south coast. It is easily accessible for Londoners, a somewhat 1 hour train journey from Victoria in London. The city is a seaside resort situated in East Sussex in the South East of England. 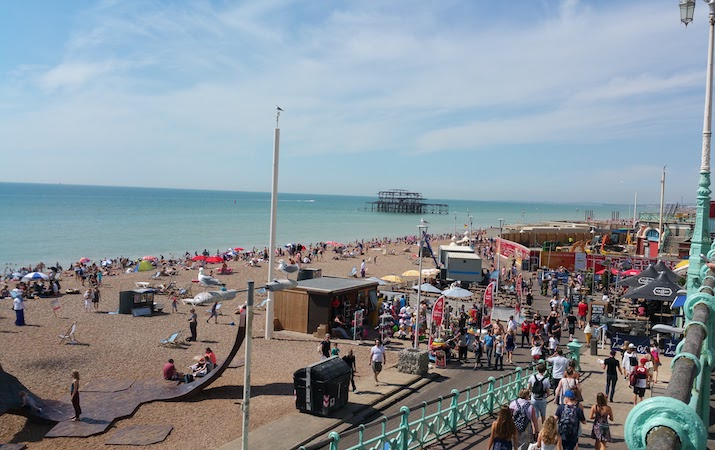 Brighton Pier is one of the main attractions, the lanes, narrow alleyways and trendy shops. I’ve always come across visitors from London like myself, from different walks of life as well as people from different parts of the country and beyond. Travelling there is ridiculously quick to get to especially from London Victoria Train station or by coach; and the transport system is pretty reliable as well if you are travelling from elsewhere. The ideal way to enjoy your visit is to venture out during the early hours. Arriving there at 10 am gave me ample time to explore the beauty. The streets were quiet as the city was gradually waking up, seagulls singing, vendors setting up their stalls and commuters going their way. There was room to manoeuvre, stroll, and reflect and precious time to capture the sunrise! I travelled by coach from London with National Express, which has pick up points so there is no need to travel all the way to a coach station unless this your only option. Upon arriving at the coach station at the end of an eventful day, I stumbled across two retired boomers who happened to board the same coach as myself. For them it was a regular occurrence to take day trips. Best known for its fish and chips! Must try! 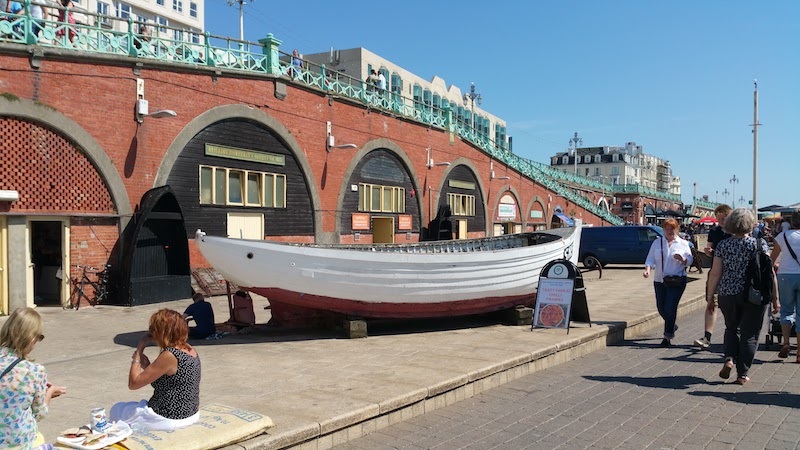 Brighton is definitely not only known for its glorious cobbled beach and just like most cities, history plays a huge part in its existence? 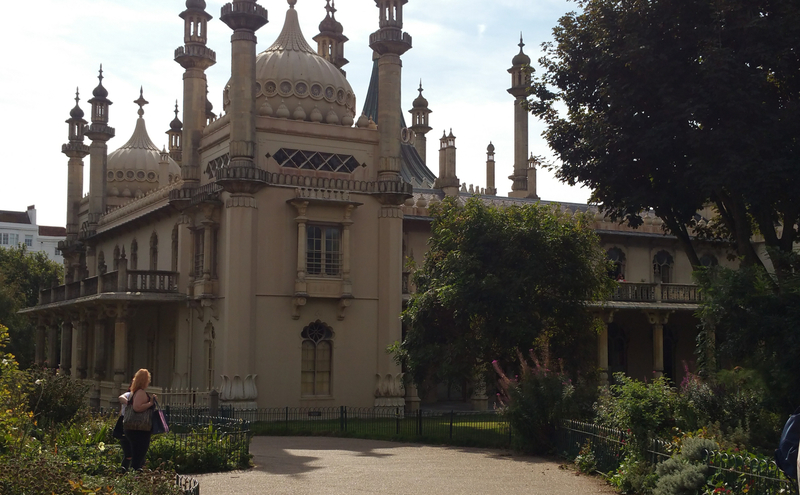 Brighton is always alive and so much hard to escape at the end of a trip. 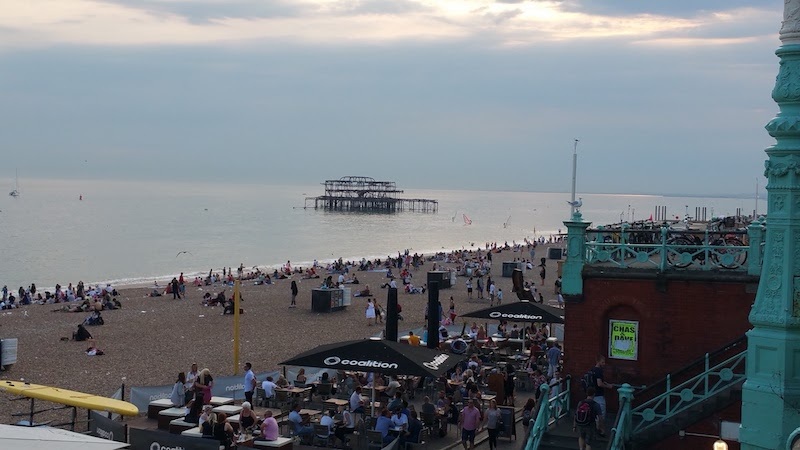 I strongly recommended walking along the sea front in the evening where you will see people from all walks of life from all parts of the globe. In an age where you need to be careful travelling solo, it might not be to everyone’s taste so always have your wits about you and live safely. 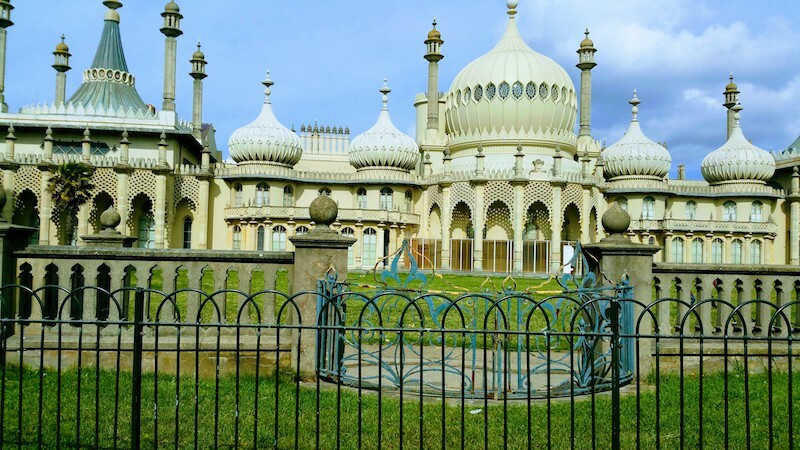 Have you been to Brighton before? Would you prefer to stay on the beach, explore the city or both? Drop me line as always. Fascinating architecture. 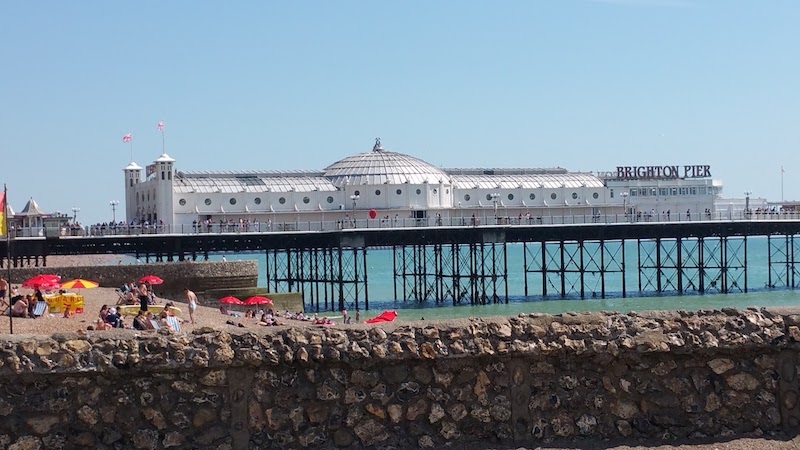 I know so little about England and will have to put Brighton on the list when we visit. 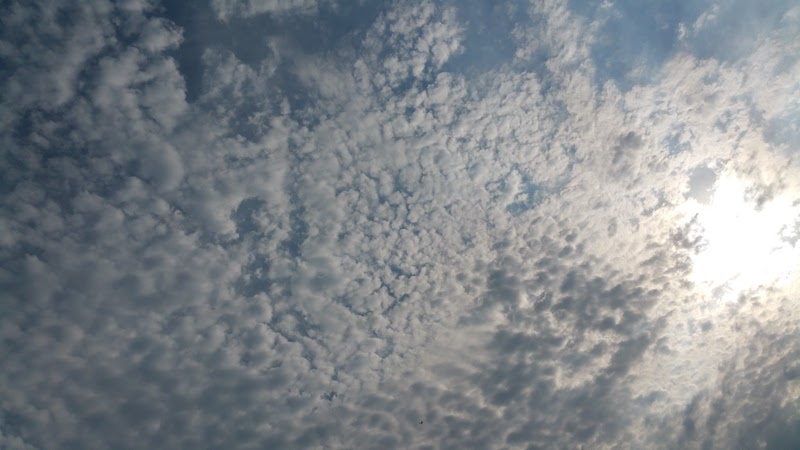 Looks a little ‘busy’, but as you recommend, pick the right time for quiet walks on the beach. Hi Lori, even in the middle of the busy city, there are quiet spaces to explore.